I also loved his take on the multiple personas and how maybe people with them and other “mental illnesses” are perhaps somehow more awoken than the average normal person. It’s a cool spin and the idea that there’s something supernatural going on in say another dimension with McAvoy’s character is an incredibly interesting idea. So yeah, Night brings some new ideas to the plate to ponder upon and I totally dig it. The best thing though about the movie is clearly the ending. Not a surprise though being we all know him for his twist, however the twist here is something a bit different than his usual style. It caught me fully off guard, something I didn’t think he could do anymore. 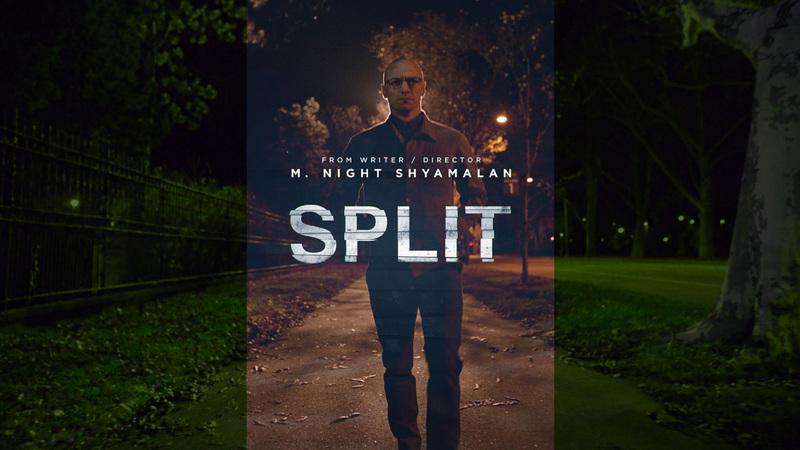 It turns out that Split is actually a bit of a pseudo sequel to one of his best movies, Unbreakable. It turns out that everything you saw in Split suddenly takes a completely different form in the last 30 seconds of the movie. It becomes ten times better and leaves you fully ready for ‘Unbreakable 2’ a movie Night has confirmed will be his next. Split turns out to be a nearly two hour origin story of a supervillain dubbed by the media as ‘The Horde’. This works quite well if you’re a fan of his early work and looking for a different superhero movie that’s more grounded in reality and at the same time shrouded in supernatural possibilities. I’m pretty stoked here that Night has made his comeback more than worthwhile and i can’t wait to see what the hell Bruce Willis’ character David Dunn has been up to all these years and if indeed he intends on tracking down McAvoy in the next movie. What about Mr. Glass? Is there a connection hidden inside of ‘Split’ somewhere? I think so & I’m excited again to see what Shyamalan’s got planned next!